As evidence of the significant performance capabilities of the Cloud Volumes Service for AWS, the following graph depicts one and two CVS volumes and compares them against eleven GP2 EBS volumes. 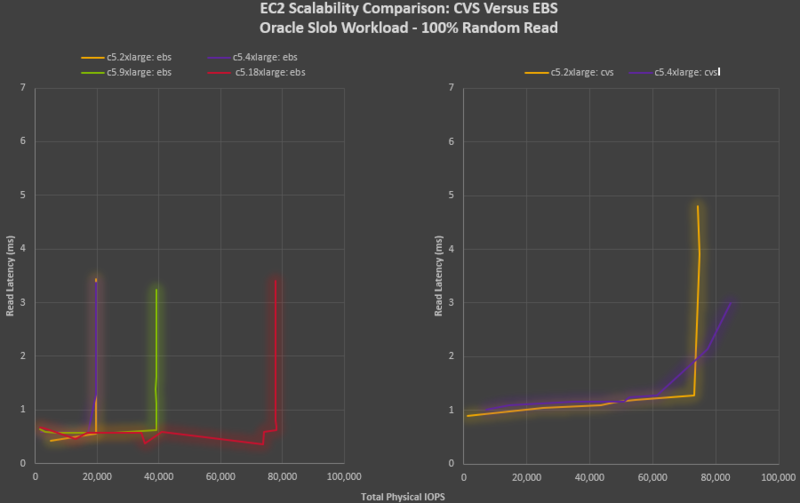 The workload depicted is a 75% read 25% update OLTP workload (SLOB2) run against an Oracle Enterprise edition 12.2c database run within variously sized EC2 instances. The number and size of EBS volumes were determined based upon the number of drives required to completely consume the storage backend of the C5.18xlarge instance type with its 80,000 iop EBS optimized storage network backend. It’s important to call out that with Elastic Block Storage, available bandwidth is tied to the size of the virtual machine. As backend storage bandwidth is increased with virtual machine size, scaling up of the virtual machine is required to extract more disk bandwidth on behalf of the application and is totally avoidable with the NetApp Cloud Volume Service for AWS. Enable smaller vm’s to do the work previously, was only possible with larger and more expensive machines and reclaim compute costs lost to premature scale up. Notice from the diagram that with Cloud Volumes Service volumes, Oracle was enabled to run as many database physical i/o’s with the c5.2xlarge and c5.4xlarge as was only possible previously with the c5.18xlarge instance type configured with EBS. 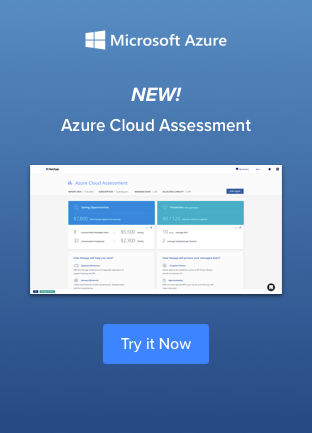 Control your compute costs with the Cloud Volumes Service for AWS!